Gameplay is based around adrenalin, which is the currency that the soldier players use to perform actions. They generate adrenaline to do things such as move, attack, and perform special actions like activating an objective space. That generation also has a negative effect for them, as that adrenalin transfers to the Overseer player, who then uses it to spawn aliens, create new threats, and hurt the soldiers' chance of success during the scenario. The more actions the Special Ops players take, the more resources the Overseer player has to work with. PROS: The “Adrenaline System”, that gives the Overseer more or fewer actions, depending on the players willingness to push themselves, is great! The Elite soldiers are very unique and add different tactical descisions to the players according to who you choose to be part of the team. 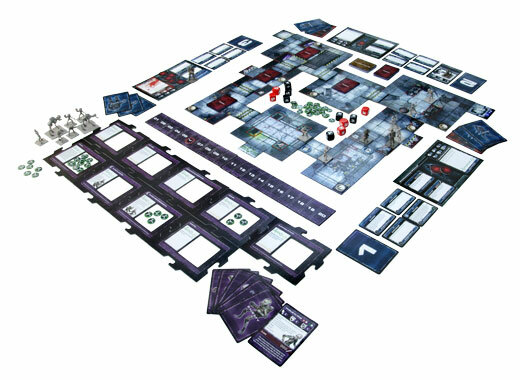 Each soldier has 8 special “kit cards” and a handful of generic ones, to customize them even further for each mission. A sentry bot is also included as “specialization”. The game is very balanced. If you make bad tactical descisions the other side will benefit from your mistake, but not punish you. Privateer Press has made a great tutorial video (about 17 minutes) which explains the rules thoroughly, which can be found on their website or youtube. CONS: The miniatures are nice, but “soft”. The quality could have been better. The map tiles, although cool, is not “fastened” to each other, which makes it easy to “destroy” the map. This is due to the flexibility in the different map layouts and in that way it do make sense, but it is a bit fiddly. 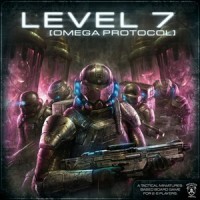 Add a Review for "Level 7 [Omega Protocol]"